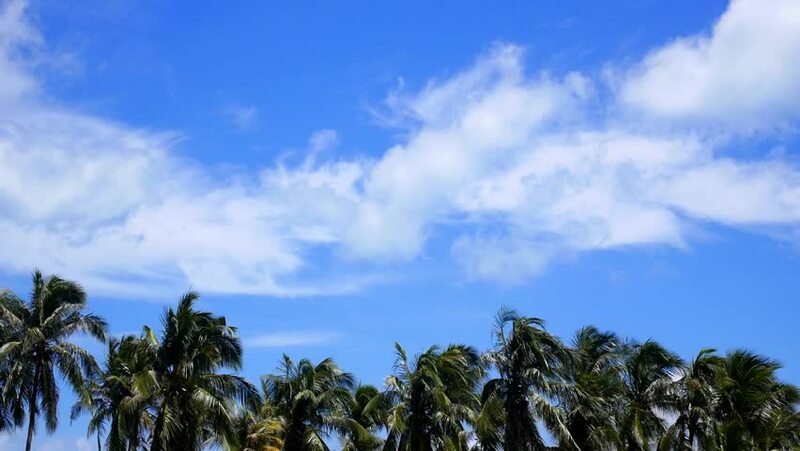 Coconut Palm Trees and Blue Sky. Serenity, Vacation and Happiness Concept. Speed up. HD, 1920x1080.